Setting: Creative Sensation Pro, Creative Sensation, Creative Vision, Creative Performance, Creative 4.5, 4.0, 3.0, 2.0, Performance 5.0, Quilt Expression 4.2, 4.0, Expression 3.5, 3.2, 3.0, 2.0, Expression 150. Includes 12" Arc +3" Feather Template Rulers, Stable Tape, Domestic Quilting Ruler Foot allows you to free motion quilt on any home sewing machine with the templates provided, or try the Introductory Ruler Template Sets under Recommended Accessories below. Attention Bernina Owners: The Westalee foot requires a shank adapter for use with any Bernina machine. The part number required for most models is the Bernina 032710.70.00 #77 Short Adapter. 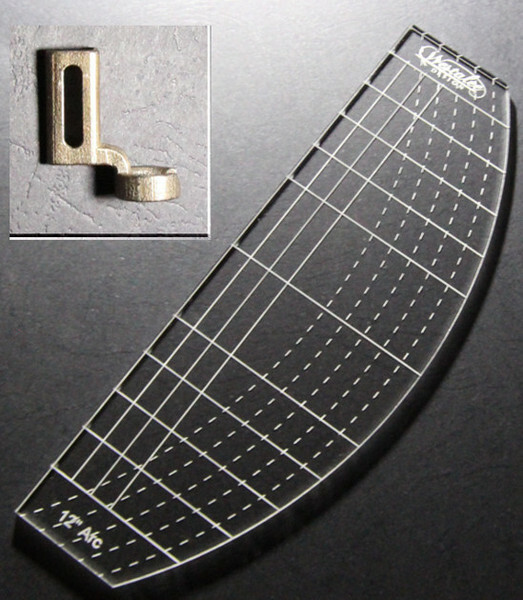 Released January 2015, this foot makes the impossible possible on any domestic sewing machine. The style of foot varies depending on your machine we currently have 5 different styles based on the 3500 different machines in the market today. Simply provide your Brand and Model number of your sewing machine when ordering, and Sew Steady will send the correct rulers for your machine's shank style. Sew Steady recommends the "Large" size and above extension tables for doing ruler work. These new products allow Free Motion Quilters to do ruler work with on home machines which has been missing in the industry. We have 5 different styles of feet and 3 thicknesses of optional ruler templates that vary based on the shank height. High Shank or Low Shank Ruler Foot with slot for height adjustment so that fabrics will not ride up and down with the needle. 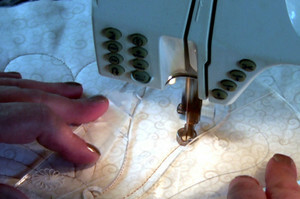 Adjustable height ruler foot according to quilt sandwich thickness, allows for fluid fabric movement under the foot.